Dear Job seekers there are Lakhs of Government Job vacancies announced in every month.Comparing to the private sector the govt vacancies are safer side and best option for every candidate.Educational criteria also less compare than the private sector jobs.There are a lot of other benefits of Insurance, Pay Scale, PF ..etc.In this page, we listed job vacancies available in the Central govt, State govt and also various competitive examinations like UPSC, SSC, PSC. 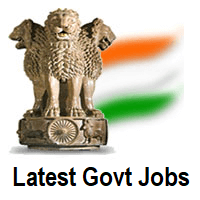 Freshersvoice.com provides Govt Jobs 2019 along with the Qualification, Age Limit, Selection Process & How to apply.We also private Employment News update for every Week.So aspirants who wish to Join government jobs can bookmark or subscribe our website to get recruitment details. At present Indian Govt Railways Department planned to announce more than 1.3 Lakhs job opportunities across the country through RRB NTPC.Candidates who eagerly waiting for Railway Recruitment can utilize this opportunity.Candidates can expect Typist,Clerks,Staff Nurses,Stenographer,Jr Translator,Trackman,Station Master etc vacancies through this recruitment.